Property assessment for new homes in Richmond Hill can be confusing for first-time homebuyers, first-time NEW homebuyers and for burgeoning investors—but it is a critical part of the new home-buying process. Every residential property needs to have a designated value in order for property taxation levels to be set. In resale homes this can be established by market forces, but new homes need to have a property assessment completed to determine the value. Property assessments are based on the market prices for similar homes in your area from the previous year, although the exact key indicators are a little more complicated. Assessments must be completed on all non-rental residential homes. Property assessments are completed by the Municipal Property Assessment Corporation. 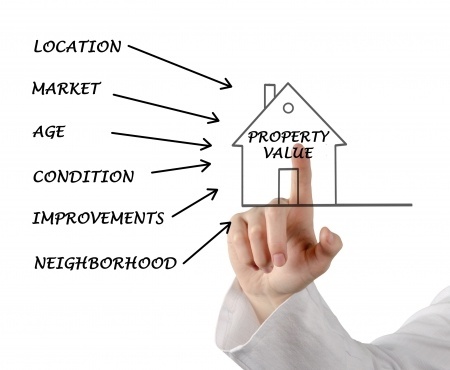 MPAC uses property sales in your area and other indicators to determine your new home’s assessment value. This assessment methodology is known as the Current Value Assessment method, and is the most commonly-used formula in North America. 5. And the quality of your home’s construction. Other factors that help determine the value, although to a lesser extent, are: garages or large sheds, pools, finished basements, your home’s heating method, air conditioning, quantity of bathrooms, fireplaces, traffic near your home, being on a corner lot and a close proximity to green spaces. MPAC evaluates your home by gathering information, which is largely-sourced from land-title documents, from building permits, through on-site visual inspections and through builder information. Once they have valued your property they use a formula for taxation, which is municipal, education and regional/country taxation rates, multiplied by the value of your property assessment. For example, if you new home is valued at $600,000 and your area’s taxation rate is 1.2% then your taxes would be $7,200 per year. For more information on property assessment for new homes in Richmond Hill, and other local real estate information—stay tuned to our blog, or simply call The Wan Team with any specific questions you have. We’ll gladly discuss anything and everything real-estate with you, based on our decades of expertise in the industry. This entry was posted in Richmond Hill Realty and tagged Property Assessment, real estate, Richmond Hill Property Assessment, Richmond Hill Real Estate. Bookmark the permalink.